Are you fed up from that blue Facebook home page login screen? Did you ever think of changing it? If not then don't worry I have found a trick to change it and make it looks more better. If you are using that blue theme from years and now it looks boring to you then just change it with the awesome working trick mentioned in this article. Today after reading this article you will come to know that how to change Facebook homepage login screen easily with the use of just an extension called FB Refresh. 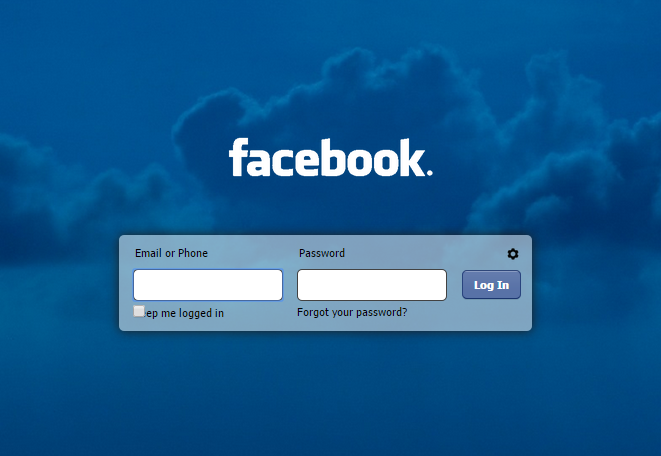 This is one of the widely used and most trustable extension available to change facebook login screen in your browser. First of all you will need to install FB Refresh extension on your Google Chrome browser. Click Here to install it in your browser. The above link will open Google Chrome store, just click on Add To Chrome and then it will take some time in installing, till then wait. When the installation process is complete, navigate to the bar at the right hand top corner of your Chrome browser. Click on it, then select More Tools and then click on Extensions. There you will see your installed FB Refresh. Click on options below the FB Refresh extension. Now you will see a new windows (Check The Screenshot Below). At left side you will see a option "Theme", click on that and then you can see a list of available themes for Facebook login screen. Choose the theme which you want to apply and click on "Select". It will set that theme to your current Facebook homepage theme. You can choose your own theme also, just go to "Custom Theme" option and choose your own desired image, upload it and then it will be your current Facebook login screen. So it was all about how to change your Facebook login screen or homepage theme. FB Refresh is one of the simplest extension available to change login screen. It is freely available, anyone can install it and can use it. But remember it's only available for Google Chrome browser only. If you have any doubt or query then feel free to mention a comment below. I will reply as soon as possible. Stay connected for more crunchy articles.